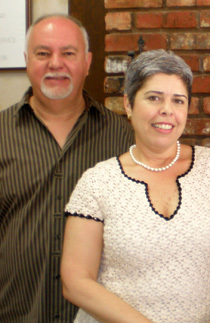 Company owners Angel and Lourdes Navarro, at the helm since 1992. Vanessa Navarro, tracking orders and keeping control. It all started with a vision of a boutique dry cleaner, specializing in utmost quality. We are a family owned and operated business located in the heart of Coral Gables. Owner and founder, Angel Navarro, started in the garment care business approximately 30 years ago. He has always believed that there is a need for quality service and care with an emphasis on individual attention to meet each customer’s needs. Our business is tailored for customers who invest in their wardrobe and expect that the garments they send for service will return as they expect them to. Customer service, from left to right: Jessenia, Maria Aurora, Vanessa, Stella and Silia. Our loyal staff is our greatest asset. Carrying on a proud family business. Angel Navarro with son Alex. 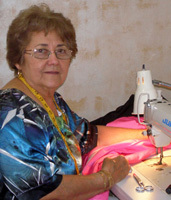 Minerva, our in-house seamstress for repairs and alterations, with us since our first day in business.